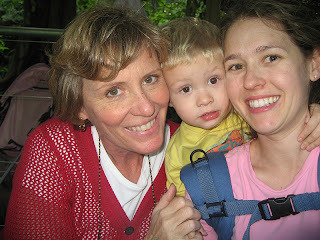 We walked for hours and got a good workout - especially with a 30-pound toddler on my back! The hippos were a big hit with Dylan! 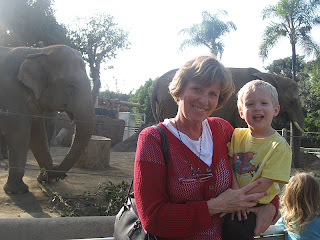 Dylan and Grandma ("Nand-ma") by the elephants eating at the end of the day.